Lotame is the DMP for Maximum Audience Impact— helping publishers, marketers and agencies maximize the way they collect, unify, protect, and activate audience data. "Complete platform for data control." Lotame is an ideal tool, to keep track of all types of data, which are acquired when carrying out all kinds of campaigns or studies, aimed at different types of sectors and people, in this way you can create reports, made from a Wide database, detailed, with all kinds of segmentation. The application can be saturated, when performing high capacity jobs, I do not know if this is due to an exaggerated consumption of equipment resources, where it is running, or are simply failures of the program, this can cause delays in the delivery of reports. The segmentation of the different campaigns and studies carried out, can be fully developed, differentiating our project, to a smaller percentage of people, but with a much broader scope of acceptance. So far, there's nothing really to report. There have been no major outages, support times have always been fast, and everyone has been great to talk to. Lotame is willing to scale with the size of your company - we're not the biggest fish. Lotame worked with us to find a solution that was right for us - other DMPs we looked into were not willing to do that. we're looking to get a better insight into who our customers are, what are they looking at, and how can we reach them more effectively. Lotame is helping with all of this. "Pretty great but kind of buggy"
I use Lotame on a daily basis for work. It is a very smart software and helps my team and I target and segment audiences based on behavior, geo, etc. This info has helped our sales people push their selling efforts further by showing the our potential reach. It's very buggy. I constantly get kicked out of the software and have to re-login and essentially lose the entire audience I just built. I really wish it had an autosave function so I don't have to rebuild the audience when I'm kicked off. We are using this software to target audiences for a better and more useful campaign reach. With the data we pull from Lotame, it definitely helps our sales teams in their proposals to clients. Presenting this data to the potential clients helps convince them to come on board with our services. Thanks for your feedback. Our tech team is constantly updating the platform and I hope that some of your issues have been addressed. Please let us know if not, we'd love to talk further about how to help make your experience better. "Great Platform and easy to use"
It's easy to use. How easy it is to create audiences. I can't get the audience immediately, the data generation takes between 24 and 48 hours. It is useful to gather information about the behavior of users on the website or the campaigns of our clients. "Lotame DMP is Most Evolved and Connected System"
Like the look and feel of the Lotame Portal. Also, it has awesome learning center. Audience profile report gives good insights of audience. Audience creation is also very minimal steps. It has seemless integration with all major DSPs like DoubleClick, MediaMath, etc. It is useful and has good network of third-party data. Gather all audience data at one platform and reach them with different communications. Also, APR audience insights for more enhanced campaigns for better conversions/leads for clients. "Easy to use and good to team"
Intuitive UI, easy to build audiences, great reporting. Robust insights ability ranging from creating pixels, new segments to building look-a-likes. Very user friendly tool where you can get everything from counts to revenue reporting. When the tool requires help from Lotame, they team is very responsive and willing to help on sales calls. Cookie pool is a tad smaller and takes longer than I would prefer to build to a usable size. Understand the demographic make-up of the users that engaged on a campaign and a comparison to base audience. In addition we look at the index versus other behaviors. The combination helps us plan re-targeting campaigns and determine how to expand the audience. I use Lotame on a daily basis. It is an excellent tool not only to target existing audiences, but also to create them. I use it to taget existing audiences and also to obtain data to create new audiences. "A little bit buggy, but overall a helpful platform"
Behavioral data and profiles are easy to view and understand - they are even appropriate for client viewing, which is nice - sometimes other platforms cause more work for me in producing a client-facing report. The data the platform does provide is useful and informative for optimization and learning. I encounter a lot of bugs using Lotame. I have to refresh the page a lot to get rid of errors. It wasn't this way previously, so maybe they're going through some issues temporarily, but it has been frustrating for several weeks. My team uses Lotame to track audience behaviors in display campaigns in order to optimize targeting and better plan for future campaigns. We also provide audience reporting to clients occasionally. We have no other platform that pulls the types of data Lotame does, so the behavioral data is invaluable to campaign strategy. Thanks for sharing your feedback, we have shared it with our tech team and I hope that the issues you were facing were indeed temporary and have been addressed! Please let us know if not and I'll connect you with our support team to address. Thanks! "Lots of great features, trouble U/X "
Data storage, and accessibility. The ability to take this data and push/port it to DBM or Facebook makes this tool very worthwhile. Cumbersome interface. Multiple selection is tricky. It works well with most marketing channels and recently connected with social networks. This will help greatly with Facebook/Instagram. The business problem is tracking website usage. Lotame allows us to collected behavioral data and funnel it into folders for later use. It allows us to combine this data with other forms of data from data partners. Lotame is a great because they have the data collection capabilities that is as granular as we need and the API's to leverage that data in realtime. There isnt much to dislike about Lotame. Fair pricing, great features. They have similar issues as most DMP's with cookie matching across platforms but its at acceptable levels. Definitely look at Lotame when considering a DMP. All the bells and whistles for an affordable price. We use lotame to solve the problem of making ads relevant for the advertiser. We leverage Lotame to drive personalization across all channels. "Easy to use, but could be easier to organize"
I like how easy it is to search audiences. I don't like how the actual pixel text isn't attached somewhere to the audience we are referring to. In some cases, I could have two audiences with similar naming conventions, but there's no way to differentiate the two in Lotame by the actual pixel text. As a user, I have to keep track of this information by myself. (i,e, one audience can be named "Carr Chevy" and another audience "Carr Chevy World" and they are both using two different pixels). I use Lotame to collect behavior information from users who visit out clients' sites. This is helpful to define what types of behaviors users exhibit so we can target those types of behaviors later on with ad campaigns. "Great platform for your data needs"
The organizational structure and user interface. The Lotame DMP is very userfriendly, and can take care of almost every single one of your need. Support timing. It can take a while, but is worth it. They try their absolute best to provide the best support and do a great job. As is with most data companies out there it just may take time. The capabilities of data solution from both offline and online. Great single source for your audience needs. Flexibility and customization are two keys. A matching feature that allowed us to directly match offline data would be great. The team and support that come with them are very important. Launching a DMP across your organization is a much greater challenge than it appears on the surface. Lotame helped us build and train a staff that did not exist when we signed up for the product. Our clients are targeting very small slices of the population with narrow messages. The targeting that we can run through Lotame's Crowd Control makes us very efficient. We are using Lotame to collect data from our portfolio of sites and leverage that to be used across our network. My rep emily makes working with Lotame the best. 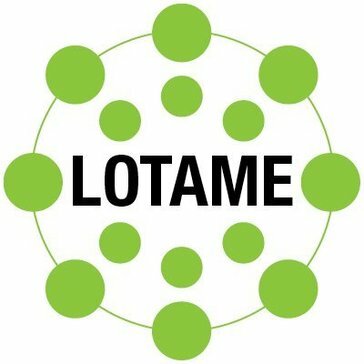 "Lotame is new advancement for future"
Network of lotame. It has most of the big websites covered in its network. Data management at one place. Customer Service is pretty great and very personable. The interface is severely lacking and could use some updating and user friendliness. "Lotame close to be next generation DMP." Lotame integrates with many execution platform and fact providers. The API could be better and more reliable. UI is a bit buggy and some of the features need developing further. Good at all the basics though. "Great customer service, platform a little slow"
Serves as a data warehouse as well as media tool. The reporting within lotame, there is always room for improvement. It serves as a third party data provider. * We monitor all Lotame reviews to prevent fraudulent reviews and keep review quality high. We do not post reviews by company employees or direct competitors. Validated reviews require the user to submit a screenshot of the product containing their user ID, in order to verify a user is an actual user of the product. Hi there! Are you looking to implement a solution like Lotame?